Abstract: This talk would present the motivation for Multiple Instance Learning/Weak Supervision. The applications of Weak Supervision in computer aided diagnosis and in medical applications would be highlighted. The algorithm steps for Multiple Instance Learning would then be presented. miGraph algorithm which is currently the best performing MIL algorithm for medical application would be the focus of the presentation. Finally the performance of miGraph on couple of medical applications would be shared. 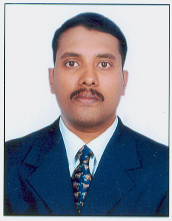 Bio: Dr. Kumar Rajamani is Architect at Robert Bosch Engineering and Business Solutions. Prior to joining Bosch he spent three years at GE Global Research (GRC), with the Medical Image Analysis lab. He was primarily involved in quantitative imaging of cancer. Earlier to GE, Kumar was Senior Scientist at Philips Research and Head of IT-Department at Amrita University. His research focus includes Medical Image Analysis, Health care technologies for emerging markets. He has seven patents filings. Kumar completed his Ph.D. in Biomedical Engineering from University of Bern, Switzerland. Abstract: These days, quick and easy deployment of services/applications for on-demand, pay-per-use, short-term basis etc., are becoming the need of the hour. Software Defined Data Center (SDDC) framework in which network, storage and compute are virtualized and delivered as services is becoming the key enabler for this. This is in contrast to traditional Data Centers (DCs) where the infrastructure is typically defined by hardware devices. Experts predict that SDDC has the strength to revolutionize the cloud computing and virtualization. In addition, SDDC can also bring advantages in terms of scalability, affordability and its ease of use, ranging from a small scale user to a large scale enterprise. The recent trends in IT industry are gradually moving away from commodity infrastructure based model of procuring, deploying and maintaining the hardware resources to a service based model such as Infrastructure as a Service (IaaS) which can be agile in nature and readily available. Optimal utilization of the infrastructure by means of virtualization technologies is being preferred. Therefore, cloud provisioning systems combined with virtualization technologies are gaining traction for both private and public clouds. The cloud provisioning platform has to basically provision the compute, storage and network resources as per the demands of application servers (web, application, database, etc.). While addressing the basic needs of these services, bandwidth, isolation, security, high availability etc., have to be addressed by the cloud provisioning platform dynamically. Currently, there are various commercial and open source cloud provisioning solutions available such as Amazon EC2, Windows Azure, Apache CloudStack, OpenStack etc. It is observed that, current trends are moving from a proprietary product based solutions to agile open source based solutions involving open source software stacks, partnerships and community efforts. Enterprises themselves are willing to support and grow business by deploying solutions built on open source software. Since SDDC is becoming a reality for both the telecom networks and enterprise networks, clear and thorough understanding of the associated technologies and methodologies will be of great benefit to students, young researchers, academicians and industry participants. Moreover, with advancements of the technologies and hyper growth observed, there is a lot of scope for conducting research at academics and industry levels. Therefore, we feel that this tutorial will be very relevant with respect to the scope of the conference. The scope of the tutorial is to generate awareness about the new concept called Software Defined Data Center (SDDC) and to provide a sneak-peek into the deployment and operations using Open Source Software Solutions. Further provide demonstrations on how such a setup works. Software Defined Data Center (SDDC) – Why SDDC? SDDC vs. Traditional Data Center, Architecture of SDDC, Open Source solutions for SDDC: Why Open Source?, OpenStack based architecture. Provisioning for SDDC – Infrastructure as a Service (IaaS) provisioning: Compute, Storage and Networks, End-to-End Provisioning Solutions. Network Provisioning – Network visualizations: Overlay and underlay networks, Interoperability of networks: SDN and Legacy. Open Source Software Solutions for Network Provisioning – OpenNaaS, Architecture of OpenNaaS, vendor agnostic network services, interface to SDN Controllers – FloodLight, OpenDayLight, and interface to legacy network controllers/NMS Systems – Cisco Prime Network infrastructure. Demonstration – using OpenStack Icehouse 3-node architecture: controller, network and compute nodes, vendor agnostic network provisioning software (TCS Network as a Service): layer-2, layer-3 and QoS provisioning. We also plan to discuss various deployment scenarios and critically analyze them in the course of the tutorial. Bio: Hemant Kumar Rath - Hemant, Senior Member IEEE and IARCS, holds MTech (2004) and PhD (2009) from IIT Bombay, India (Communication Engineering) and BE in EL&TCE (1997) from VSSUT Burla, Sambalpur, Odisha. He has more than 17 years of experience in academics, research and industry. 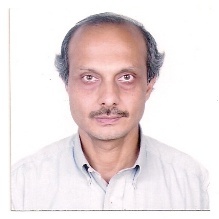 At present, Hemant is a Senior Scientist at TCS Networks Lab, Bangalore, where he is working since Dec 2010. Prior to this, he was working as an Associate Professor at KIIT Bhubaneswar (2009-10), an Associate Manager (2000-02) in UACT-IIT Madras and Scientist (1998-2000) at CEERI Center, New Delhi. His current research interests include: QoS in Networks, LTE/WiMAX Scheduling, Self-Optimization, Propagation Model Design, Speech Processing, M2M Communication, Cloud Computing, Modeling of Social Network Traffic, Information Centric Networks, Software Defined Networks, etc. He has published many research papers and presented many talks in national and international conferences/seminars such as IEEE Globecom, ICC, COMSWARE, COMSNETS, NCC, PIMRC, INDICON, ACM ICDCN, ITU-T, BWCI-COAI Workshop etc., and has filled several patents through TCS. 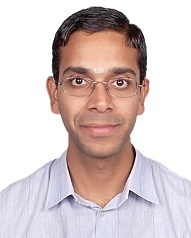 Hemant has also served as Industry Panel Speaker at ICC 2012, IEEE COMSNETS 2013, ACM Sumo-CPS, etc. He has also served as PhD examiner at IITs, NITs and other Indian Universities and has served as TPC members of international conferences such as ACM SUMO-CPS 2013, NCC 2013-15, COMSNETS 2013 etc. He is also participating in national and international standardization activities (IoT - GISFI, IoT - ITU-T, TSDSI) in the areas of networking and communications. Hemant was a tutorial speaker in IEEE ANTS 2014. Bio: Shameemraj M Nadaf- Shameem, member IEEE holds BTech from Visveshwaraya Technological University (VTU) Belgaum in Electronics and Communication Engineering. He has been working with TCS Research since September 2008. He has worked in projects comprising of Java OSGi based development, Interoperability middle-ware development, 3GPP LTE Rel-8 Physical Layer development, Cloud/Distributed Computing, Bandwidth aggregation, Enterpise Network Design automation, Software Defined Networks (SDN), SDN control plane management, Network Function Virtualization (NFV) and OpenStack Cloud Provisioning. His current research interest includes: Enterprise Network Transformation and Optimization, Cloud Network Provisioning, SDN Controller provisioning, NFV services provisioning etc. He has published and presented many research papers in national and international conferences/seminars such as IEEE ICCAIE, IEEE NCC, IEEE WoWMoM, IEEE ICACCI, IEEE INDICON, IEEE CSNT, ICNIT, IJFCC, IARIA, UBICOMM etc., and has filled 6 independent patents in different geographies through TCS. Bio: Anantha Simha - Anantha, Member IEEE, is a Post Graduate in Electrical Engineering from IIT Madras, India and BE in Digital Electronics from University of Bangalore, India. He has 30+ years of experience in industry in the areas of microprocessor based hardware design, embedded protocol software, enterprise network design, network optimization, performance analysis, data center network design, Software Defined Networks (SDN), Network Virtualization etc. For the last 20+ years he has been working with TCS. Currently he is heading the Networks Lab, Bangalore under CTO organization of TCS. His current research interests includes: QoS in Networks, Scheduling, Self-Optimization, Large Scale Network Design, Offloading in LET Networks, Cloud Computing, Software Defined Networks, ICN Architecture Design, Next Generation Networks, Network Virtualization etc. 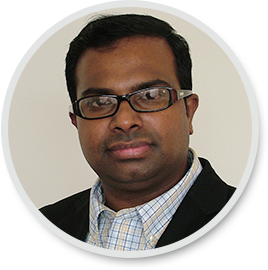 He has published many research papers in national and international conferences/seminars such as IEEE ICC, Globecom, NCC, ANTS, COMSNETS, PIMRC, CSNT, PIMRC, INDICON etc., and has filed several patents through TCS in the areas of communication networks. Anantha has presented in various technical events, and is actively involved in standardization activities through TSDSI and GSFI. Anantha was an invited talk speaker and a tutorial speaker in IEEE ANTS 2014. Abstract: The Smart platform involves a SafeDrive - an Internet of Things (IoT) car gadget connected to RakshaNet - A network of emergency services. SafeDrive is a tamperproof standalone device capable of automatic crash detection, GPS tracking, two-way voice communication, reporting basic telemetrics and driver performance evaluation. RakshaNet is a network of road emergency services (ambulance, police, fire, roadside assistance, notification to family etc.) accessible at the touch of a button from SafeDrive. Our goal is to revolutionize how Indians call for help and how India responds to road emergencies. For more information please visit http://www.rakshasafedrive.com/. 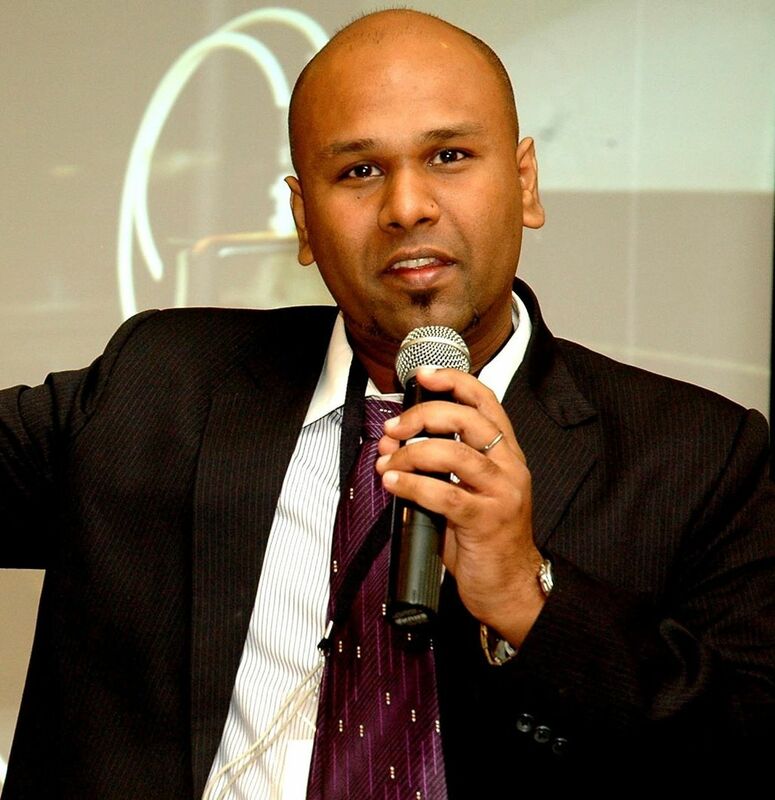 Bio: Prasad Pillai is the prime-mover and chief strategist at eLsys. His passion is to build technology solutions for everyday problems of the masses. Prasad has spent over a decade living & working in the USA and during one of his visits to India; he was involved in a road mishap that could have seriously injured several people. That experience inspired him to work towards building a Smart Road Safety Platform that can effectively manage road emergencies and possibly avert accidents too. He heads the engineering efforts at Raksha SafeDrive. Abstract: miBEAT (http://www.mibeat.co/) is an innovative platform used to learn and develop systems for obtaining Medical Grade signals in real time over Smart Phones. Designed for Electronics, Biomedical, Signal Processing and Computer Science Engineering students, Researchers and Faculties, one can learn to obtain High Definition Noise-free Signals from 2 or 3 electrodes and also by mere touch! Developed by Cardea Labs with the support of Dept of Scientific and Industrial Research, Govt. of India, Dept of Biotechnology, Govt of India and through the collaborating universities of US and India, Cardea Labs has garnered a lot of accolades in the recent past which includes the prestigious WIRED (UK) which chose Cardea Labs as one of the top 5 Healthcare Startups from East. The system has also been tested against the Gold Standard at AIIMS, New Delhi. The device has been showcased at IEEE HealthCom - 2015 at Boston and at NIH-IEEE Strategic Conference on Healthcare Innovations and Point-of-Care (POC) Technologies for Precision Medicine at Maryland this year. Universities use miBEAT to set up Research Labs and also establish Center-of-Excellence in Signal Processing and Instrumentation to design and develop systems in the area of m-health, tele-medicine and Internet of Things in Healthcare. Bio: Abhinav is a first generation Medical Device Entrepreneur who has been rated among the top 100 Global Innovators for consecutive years of 2013 and 2014 by the Editors of Technology Review, Massachusetts Institute of Technology, Cambridge, US under the TR35 Global Innovation award. Credited with the development of India's first Diagnostic Quality ECG on 'all' affordable Mobile Phones, he has been a sought out speaker at several prestigious platforms inc FICCI and TEDx. He has been awarded by MSME for the development of a highly affordable mechanical nebulizer which works without electricity. He is also awarded by DSIR and by DBT Govt of India to develop diagnostic quality medical devices. With several research papers and patents under his belt, Abhinav is also the CEO of Cardea Labs which produces highly trained Biomedical Engineers through hands-on training provided by experts who secure seats in Tier I Universities in US, UK and Germany for their higher education.